Ocean Chiropractic and Health Center believes that chiropractic and wellness care should be available and affordable for everyone. Ocean Chiropractic and Health Center accepts most health insurance plans, including Medicare and Medicaid as well as worker’s compensation cases slip and falls and automobile accidents. For patients with no medical insurance coverage, affordable, flexible, payment plans based on financial needs are available. To learn more about Ocean Chiropractic and Health Center for chiropractic needs, please contact us. Fill out this form with any questions you may have. We will try to get in contact with you as soon as possible. 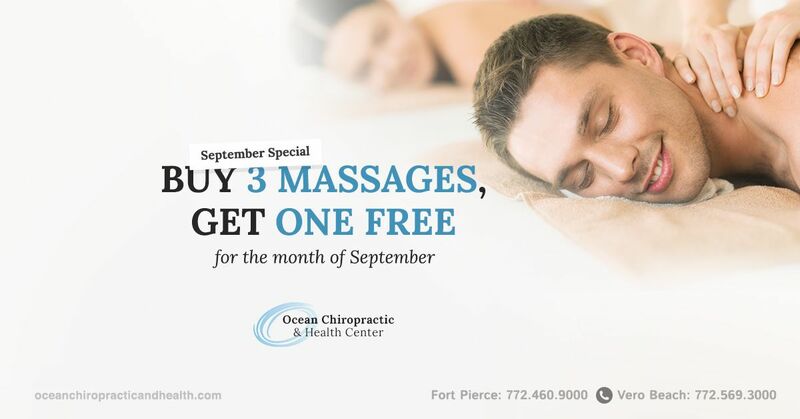 Ocean Chiropractic and Health​​​​​​​, Virginia Ave. Port St Lucie, FL 34952. At Ocean Chiropractic and Health Center, we take great pride in providing the finest chiropractic wellness care to patients of all ages. Below is a selection of the different chiropractic and wellness services we offer in our Fort Pierce office.